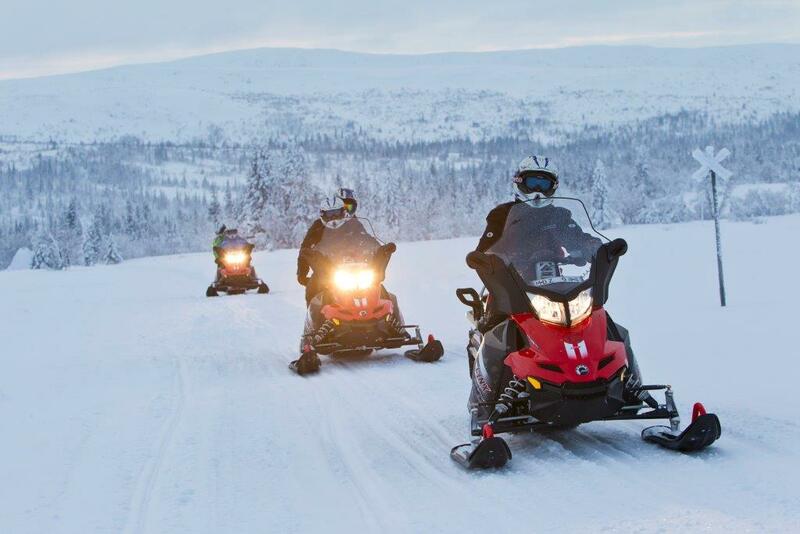 Drive your own snowmobile or share one with a friend and travel into the area around Abisko National Park and beyond. This trip will take us further into the wilderness and higher up in the mountain areas. As we cruise through the frozen landscape it is not uncommon to encounter the "King of the Forest", the majestic moose. Before making our way back home we will stop for a break and make a fire where you will be able to enjoy a hot beverage together with the magnificent views. In order to drive your own snowmobile a regular driver's license from your home country is required. If you do not have a license you can join the trip as a passenger. Starting time is 14:00 and return is at 16:00. Helmet, warm clothing and hot beverages are included. Please be at our starting point 15 minutes before the scheduled starting time. If you wish to join this trip on another date than those scheduled, go for a 4-hour, full day or multi-day trip please send an email with your request to activities@abisko.me. Although snow conditions in December usually provide enough support for snowmobiles, exceptions may occur. In the unlikely event of conditions not allowing us to arrange this trip you will have the choice to either join it on another date or to receive a full refund of your payment. We do not take responsibility for any travel expenses to or from Abisko. Guests staying at STF Abisko Mountain Station or in accommodation in Björkliden can book a transfer for this activity in the next booking step. After the trip you will be taken back to your accommodation. Drop-off times are approximate.